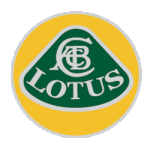 Lotus is a superb brand of british motor sport and on road driving. People who choose to lease a Lotus do so because they want a driving experience. You can choose from the Lotus Elise, Lotus Exige and Lotus Evora. At Little Green Car we have some fabulous Lotus lease offers. And if you don't see the Lotus lease deal your looking for just call us.